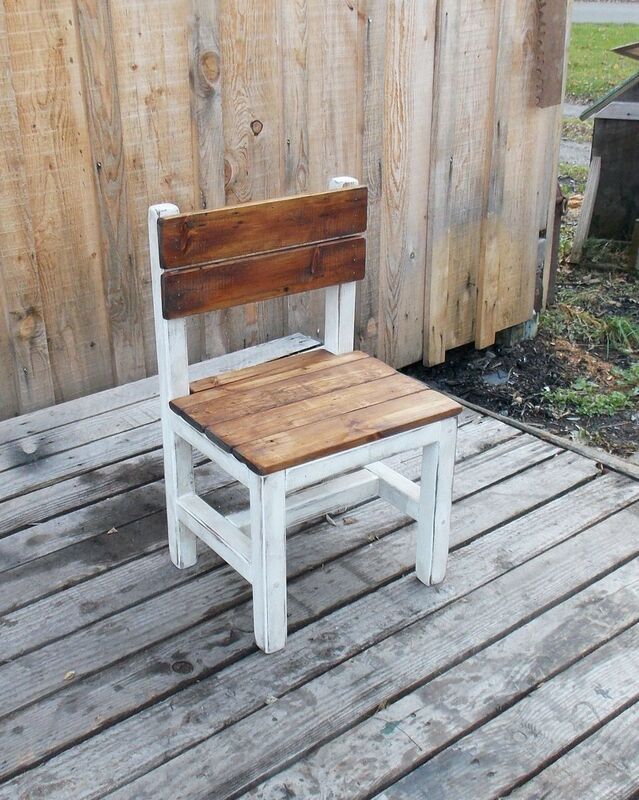 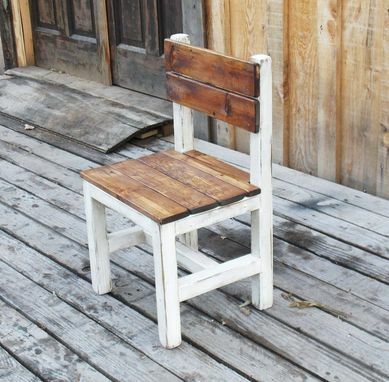 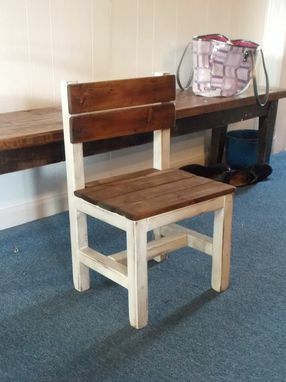 Heirloom quality children's chairs finished to your preferences.I can make these from solid present day lumber or reclaimed barn wood.Rough measurements are 24" H at the back ,seat height 12 1/2" the seat is 14 1/2" W x 12 "D.
Option #1- $155ea. 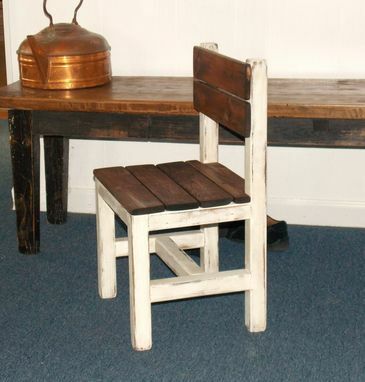 Chair.Add a table for $225 24"H x30"square. 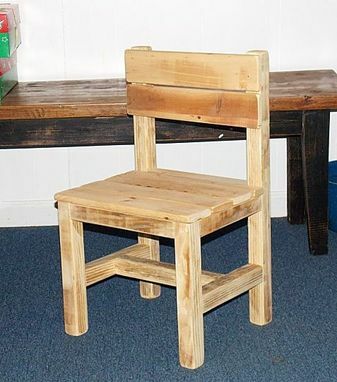 **This is an Heirloom Quality set that your child will cherish and pass down to their child and so on for generations.